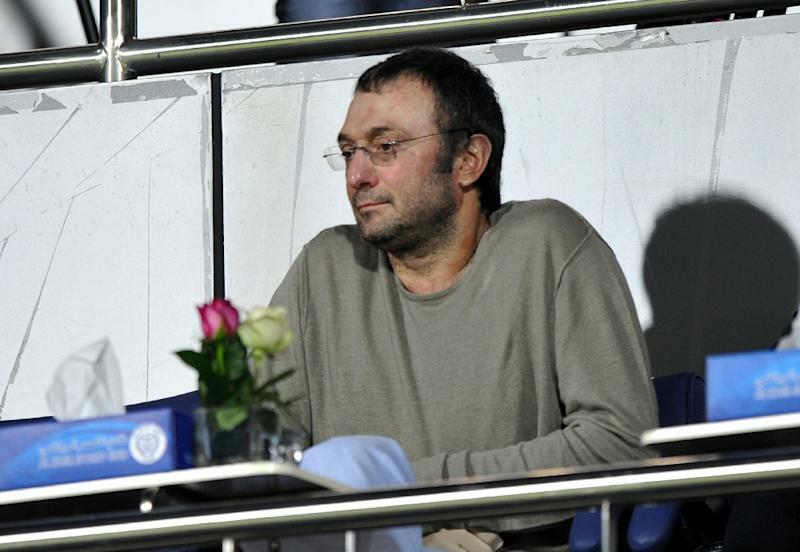 "Mr. Kerimov was interviewed yesterday and charged with complicity to aggravated tax fraud," prosecutor Jean-Michel Pretre in the southern city of Nice said, adding that the billionaire had been released on a 20-million euro ($22.6 million) bail. Judicial authorities last June dropped money-laundering charges against Kerimov in what was seen as a victory for his defence team. But Pretre explained that Kerimov was still suspected of having given instructions to buy the villas on the French Riviera largely in cash. French judicial sources believe that 500 to 750 million euros were drawn from accounts in Switzerland and Monaco and illegally transferred to a shell company to buy the properties. Last week, Alexander Studhalter, a Swiss banker who is suspected of having acted on behalf of Kerimov in buying the properties, was also interviewed by the prosecutor and charged with complicity to engage in tax fraud, according to a statement issued by his staff. Studhalter denies the charges and will apply to the court for them to be dismissed, the statement said, adding that the banker viewed the legal action as "judicial persecution". A total of 13 people, including estate agents, have been investigated in connection with the purchases since they came to light in late 2014. Initially, Kerimov was charged with laundering funds obtained through tax fraud, but the laundering charges have since been dropped. He was originally arrested in Nice in November 2017 and his detention prompted the Russian government to summon France's deputy ambassador. Angry Russian MPs called for his release and passed a resolution branding the arrest a violation of the 1961 Vienna Convention on Diplomatic Relations. Listed by Forbes magazine as one of Russia's richest people with an estimated net worth of $6.3 billion, Kerimov made his money from the privatisations that followed the break-up of the Soviet Union. Known as one of Russia's most eligible bachelors, the flamboyant but media-shy Kerimov has hired the likes of Beyonce to entertain friends in Cap d'Antibes, even in the midst of the 2008 global financial crisis -- in which he lost billions. Originally from Russia's North Caucasus region of Dagestan where he began his working life at a Soviet transistor factory, Kerimov has owned stakes at various times in Russian energy, banking and mining giants such as Gazprom, Sberbank and potash producer Uralkali. He once controlled Dagestan's Anzhi Makhachkala football club, which at one point topped the Russian league when he poured millions into buying players like Roberto Carlos and Samuel Eto'o. His family now controls Russia's largest gold producer, Polyus. In 2006, he crashed his Ferrari Enzo while speeding along Nice's seafront, sustaining severe burns.